Papercrafts by Patti: Workshop WOW! Getting ready for Easter before the rush hits. These will make adorable little gifts for my neighbor girls and my nieces! Aren't they cute! Inspired by an idea on Inking Idaho's blog. I didn't have a chick stamp, so I just used a sentiment. Imagine all of the cute things you could decorate those flaps with! My workshop gals will enjoy putting these together tonight! Also, we will be making two of these cards tonight. Guests will have one set of flowers to take home and embellish another project. If you are in the Orange County, CA area and would like to come to my next workshop, please contact me using the button on the sidebar. I'd love to have you join us in April. 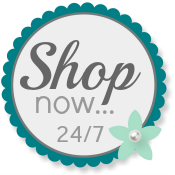 In the mean time, please use my Website at your convenience to order Stampin' Up! AWW Fabulous projects Patti!! Happy Friday! Cute cute little Peep Basket! And great cards for your workshop - those flowers always look wonderful! Cute basket and pretty cards. Great Easter basket. Spring is in the air! Love your workshop cards, too. Awwwww, the Peeps make anything say Spring to me! Very nice cards. Have a great workshop. The basket is just too cute! I love the colors and the flowers on your "circle" cards! I would love to attend one of your workshops! Your projects are always so classy! Adorable basket, Patti! I have yet to give that a try. You did an amazing job! The workshop cards are great! Love the use of the circles. Very beautiful easter basket! Love the cards too! They are just amazing!